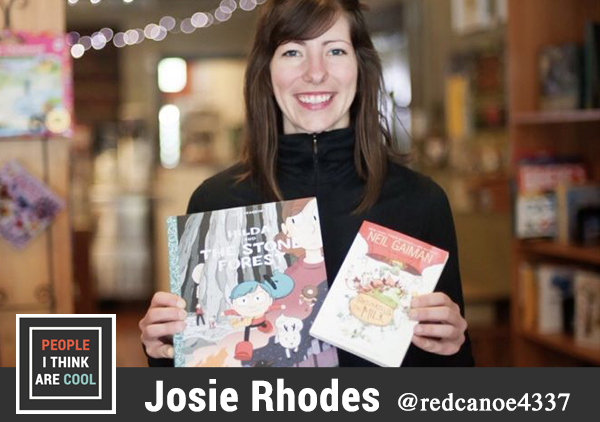 Josie Rhodes is the co-owner of the Red Canoe Cafe & Children's Bookstore located in Baltimore. Josie has a sharp eye for art and storytelling. When you browse her highly curated offering of children's literature at Red Canoe, you can feel her passion for books leap off the shelf. In this episode, we talk about wild, sexist kid books from the fifties, what draws her to specific books, and her take on the future of brick and mortar bookstores. If you're ever in Baltimore, the Red Canoe is a must stop for book and coffee lovers of all ages. You can follow the latest happenings at Red Canoe's Instagram @redcanoe4337 and Facebook page. 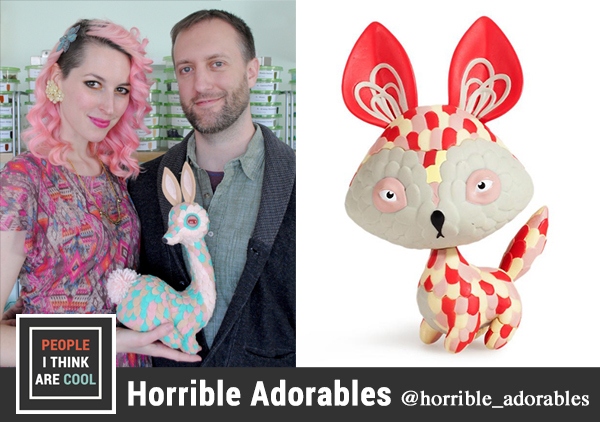 Jordan Perme and Christopher Lees are the husband and wife team behind Horrible Adorables. Their strange and beautiful creations can be seen at galleries, boutiques, and indie craft fairs across the globe. In this episode we cover their new toyline with Kidrobot, their first DesignerCon, and growing a small business together.